This questions needs learners to clearly show how education is used as a tool to reproduce and legitimize social inequality. To support the view clever students will apply the Marxist and Feminist view on education. A clear cut weaknesses of these supporting theories can also be made to score high marks. Functionalist's views can be used in assessing the given question. After the assessment learners should give a clear conclusion of which side they supported. Sociologists continually debate the role of the education system within society. Many sociologists, such as Marxists and Feminists, would suggest that the main function of the education system is to reproduce and legitimise social inequalities. However, many other sociologists, such as Functionalists, would disagree with this view, instead believing that its main function is socialisation or to select and prepare students for the workplace. Marxist sociologists, such as Louis Althusser, would suggest that the education system is an ideological state apparatus that reproduces and legitimises social inequalities. It is reproduced through the teachings to generation after generation and is legitimised by teaching working-class students to accept that inequality is inevitable. Bowles and Gintis further support this through their idea of the hidden curriculum. This refers to the unofficial rules of schools, which teach the working class to accept their future exploitation as factory workers. Paul Willis' study of the lads further supports the idea that the main function of the education system is to reproduce social inequalities as the 12 working class lads he observed rejected school and formed an anti-school subculture as they believed that they were only going to go into manual jobs and therefore thought that the education system was pointless. This meant that they would achieve the destiny the education system wanted them to. Feminist sociologists, such as Angela McRobbie, would also argue that the main function of the education system is to reproduce and legitimise social inequalities, as they believe that it serves to benefit males and legitimises a patriarchal society. Internal factors within the school, such as labeling, teacher racism and an ethnocentric curriculum, also serve to reproduce and legitimise ethnicity inequalities with black pupils subsequently achieving poorly in comparison to white pupils. However, these Marxist ideas have been largely criticised. Bowles and Gintis take a deterministic view; they assume that pupils have no free will and passively accept indoctrination. This approach fails to explain why pupils ever reject the school's values, as shown in Paul Willis' study. Critical modernists such as Raymond morrow and Carlos Torres also criticise Marxists for an approach that sees class as key inequality, whilst ignoring other social inequalities such as gender and ethnicity. However, functionalist sociologists, such as Emile Durkheim, would disagree with the idea that the main function of the education system is to reproduce and legitimise social inequalities as they believe that the main function is, in fact, socialisation. Durkheim believes that the education system functions to create social solidarity: it socialises students into society's norms and values- a shared value consensus. This allows for greater co-operation for the future workforce. Also, Talcott Parsons, another functionalist sociologist, believes that the main aim of the education system is socialisation through acting as a bridge between the family and wider society. In the family, a child is judged on particularistic standards and their status is ascribed, however in the workplace, you are judged on universalistic standards and your status is achieved. Therefore, the education system acts to prepare students for this and socialise them into this way of thinking. However, the functionalist idea of socialisation has been largely criticised. Functionalist see education as a process that instills the shared values of society as a whole, but Marxists argue that education in capitalist society only transmits the ideology of a minority- the ruling class. Furthermore, other functionalists, such as Davis and Moore, believe that the main function of the education system is to select and prepare people for work. Davis and Moore's ide a of role allocation refers to the idea that through setting and streaming, the education systems sifts and sorts people according to their ability to ensure that the most talented people get the most important jobs. This is supported by Durkheim's belief that the education system functions to teach specialist skills in order to allocate people to jobs best suited to their abilities for the social division of labour. He believes that by placing students into different areas of education, such as vocational education, they are being taught the necessary skills they need to contribute to society. Also, Bowles and Gintis refer to the correspondence principle being taught through the hidden curriculum. The correspondence principle refers to the similarities between school and the workplace and how education is the long shadow of work. This is taught through the hidden curriculum as the rules of school teach students conformity, obedience and time-management: skills that are essential in the workplace. However, the functionalist idea that the education system functions to prepare people for work has been largely criticised. Unlike Davis and Moore, the New Right argue that the state education system fails to prepare young people adequately for work. This is because state control of education discourages efficiency, competition and choice. Overall, although the education system does indirectly reproduce and legitimise social inequalities, one can be forced to believe that its main function is to select and prepare people for work and socialisation aids in this preparation. For more enquiries in Sociology pertaining Sociology tutorials, new textbooks (sociology in current times and sociology through questions and answers), Seminars and Conferences kindly inbox Sir Mwiinde on +263771161432/ +263717271857 OR Email: latmwinde@gmail.com. 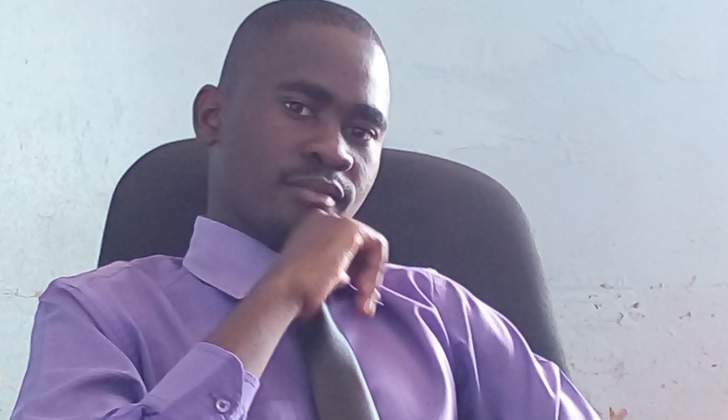 Follow sir Mwiinde on twitter @latson_mwinde or read his daily Sociology Questions and Answers Articles online on Bulawayo24. Questions to be published through Bulawayo24 can be requested by submitting a request to the author.